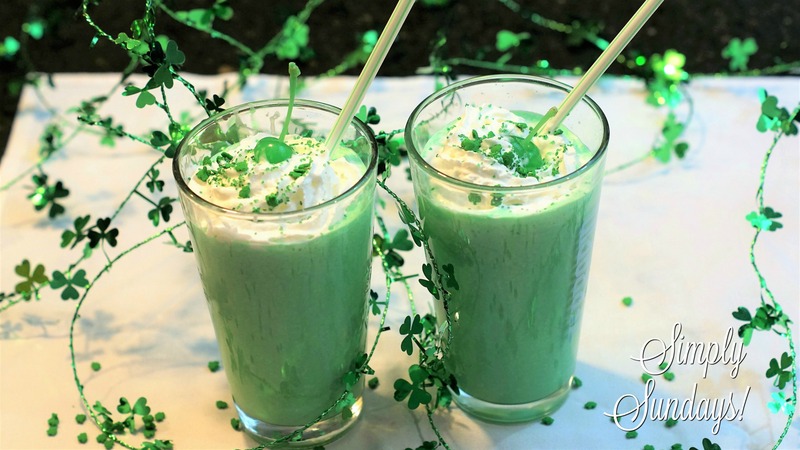 Shamrock Shake – Simply Sundays! Who needs to wait for a certain fast food restaurants (ahem) to come out with Shamrock Shakes for a limited time?? Make them at home with a few simple ingredients whenever you want! Serve with whipped cream, some festive sprinkles and a green cherry or two! This looks so easy and delicious. Will make it with my nieces. Yummy! What a delicious recipe! I think my daughter would love this as she likes mint flavoured things . Lol! It’s a big thing here in the States around St. Patty’s Day from a fast food restaurant. Much better making them at home! Oh, what a fun post this is! My kids will love it! I can’t wait to give it a try!